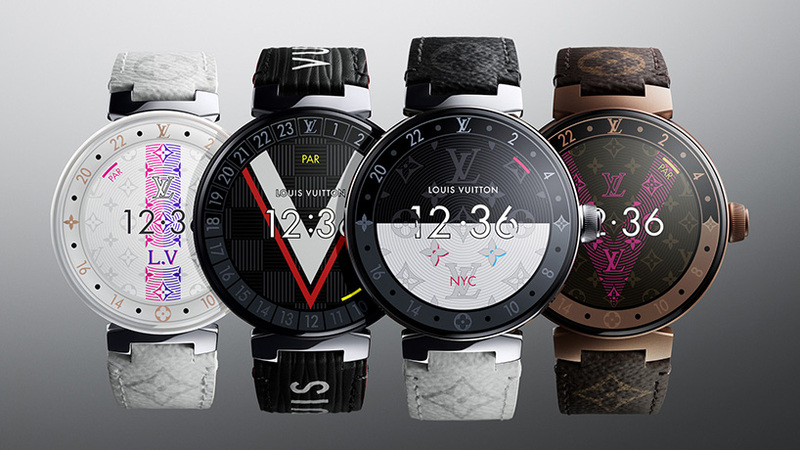 pairing high-end luxury with leading technology, louis vuitton has revealed their second generation ‘tambour horizon’ smartwatch. 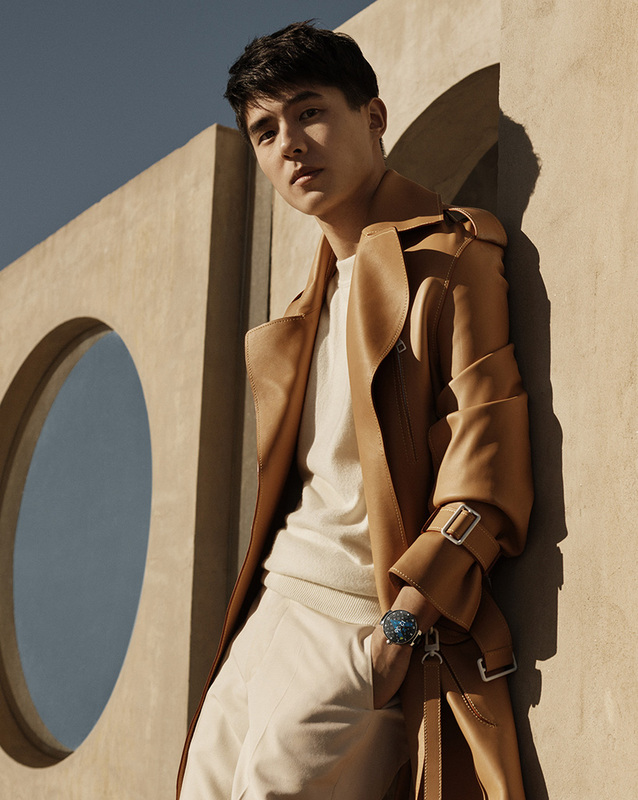 like the previous timepiece, the new edition once again appears elegant in style but now braces even better features, making it truly enhance the wearer’s daily life. 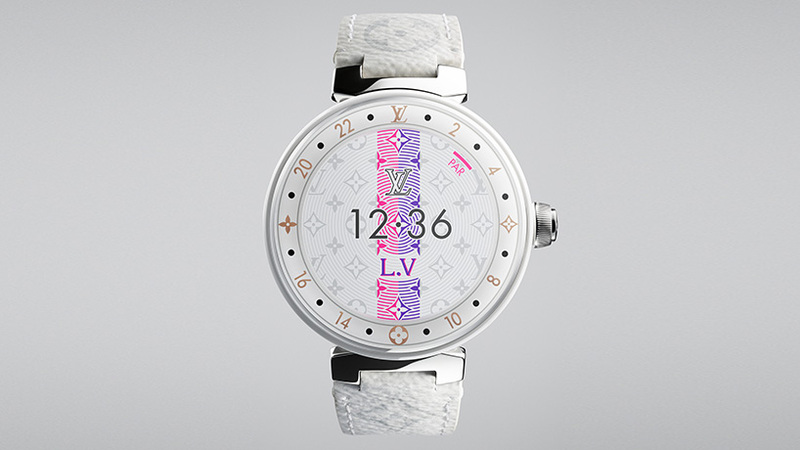 the design follows the french brand’s recent focus on their tech line of accessories, after releasing new earphones with master & dynamic in january 2019.
adorning multiple louis vuitton logos and motifs, the circular ‘tambour horizon’ features a 42mm case that is 12.6mm thick. the display itself is a 1.2-inch AMOLED with a resounding resolution of 390×390. 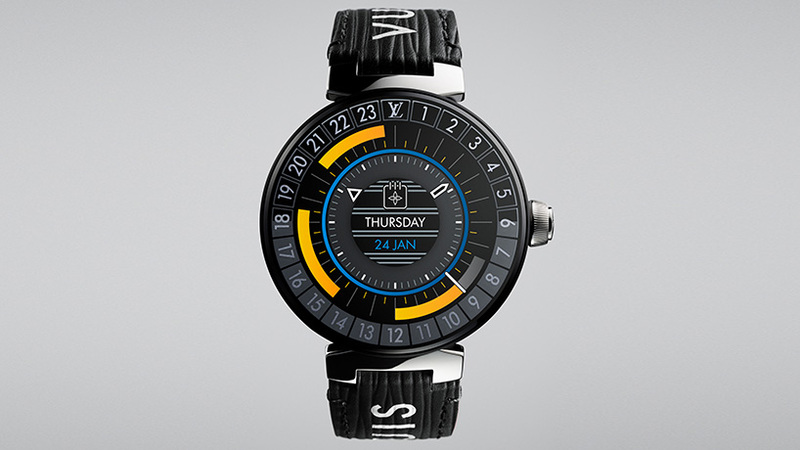 on the side, the design is finished with a polished steel crown that helps users navigate the smartwatch functions. significantly, the second generation timepiece is now powered by wear OG by google and runs the snapdragon wear 3100 platform. this ensures it can function software such as a ‘my travel’ itinerary watch face, ‘LV city guide’ app, and even a ‘pollution’ function to monitor air quality. 1GB of ram and 8GB of storage has been added to from the previous model as well, whilst the design can run for five days in a special battery-saver mode. the luxury smartwatch can be selected in multiple material finishes: polished steel, matte black PVD, matte brown PVD, white ceramic, and white ceramic with gem-set horns. it is also complete with a choice of interchangeable straps.